Queensland hits the spotlight this week! This vast state takes up Australia’s northeastern corner, and is home to amazing landscapes, vibrant cities, and 300 days of sunshine a year! Explore the rainforest and immerse yourself in Aboriginal culture, soak up the cosmopolitan buzz and city life of Brisbane, or jump into the gorgeous ocean waters of Cairns and discover the colorful marine life of the Great Barrier Reef. No matter what you’re looking for, Queensland has got something for every traveler. Looking for some fun in the sun? Whether it’s beaches or islands, we’ve got you covered. 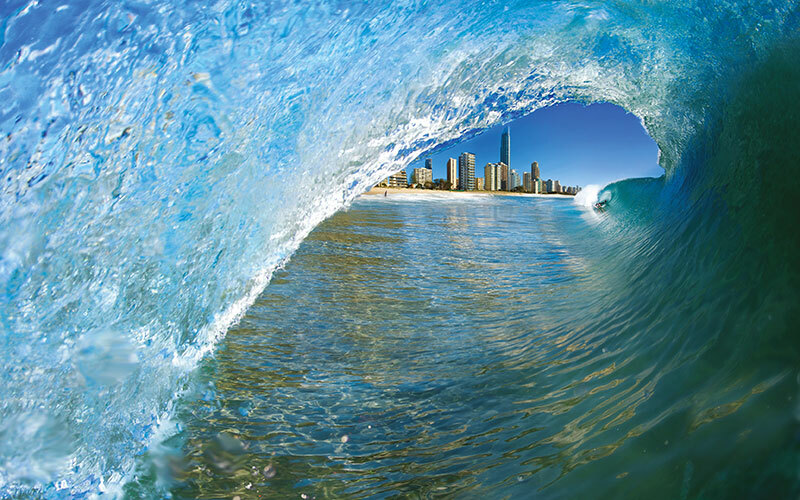 As far as beaches go, Queensland is home to the world renowned Surfers Paradise. Here you’ll find a three kilometer strip of golden sands along the Pacific Ocean. This post-card perfect beach welcomes swimmers, joggers, surfers and strollers throughout the year. Now let’s talk islands. 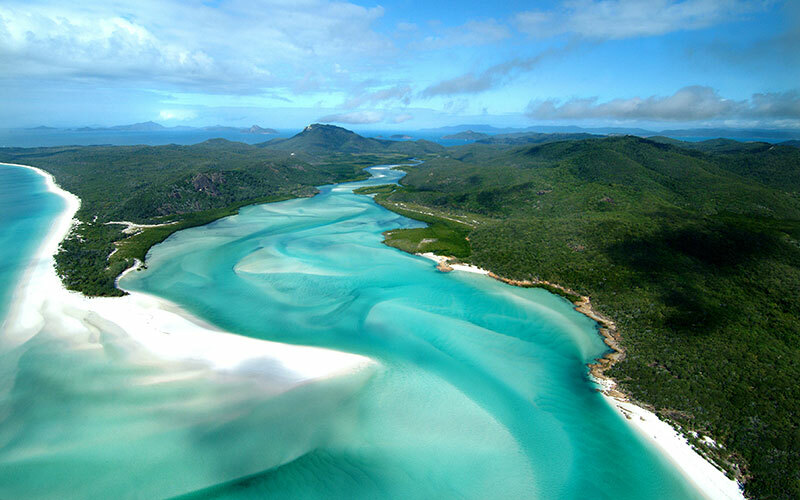 Did you know that Queensland is also home to the Whitsundays? Some of the most beautiful islands that happen to be smack dab in the middle of the Great Barrier Reef. So get your snorkel and flippers ready, there’s tons of exploration to be had and loads of marine life to be seen. The wildlife of Queensland is unique and wonderful (as most of Australia’s flora and fauna tend to be). While on dry land keep an eye out for one of Queensland’s most unique animals, the Tree Kanagaroo. 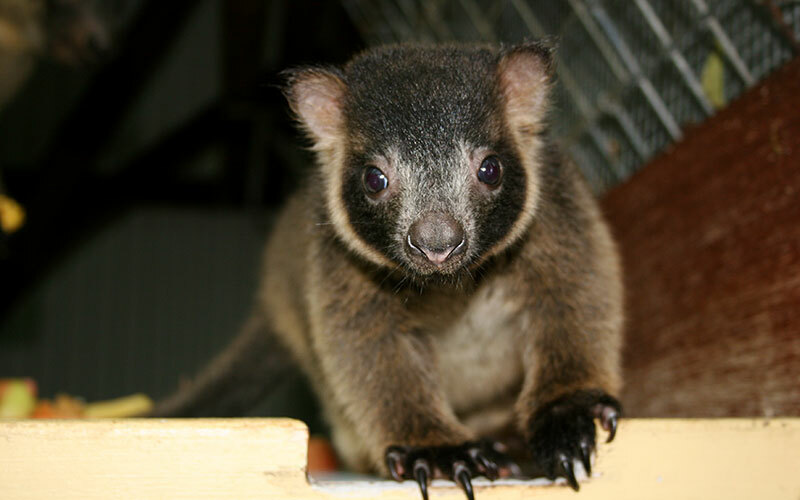 They are Australia’s largest tree-dwelling marsupial and are an endangered species. The Wildlife Habitat Port Douglas is working to keep these guys around; and why wouldn’t they? Just look at this fella! Going for a dive? 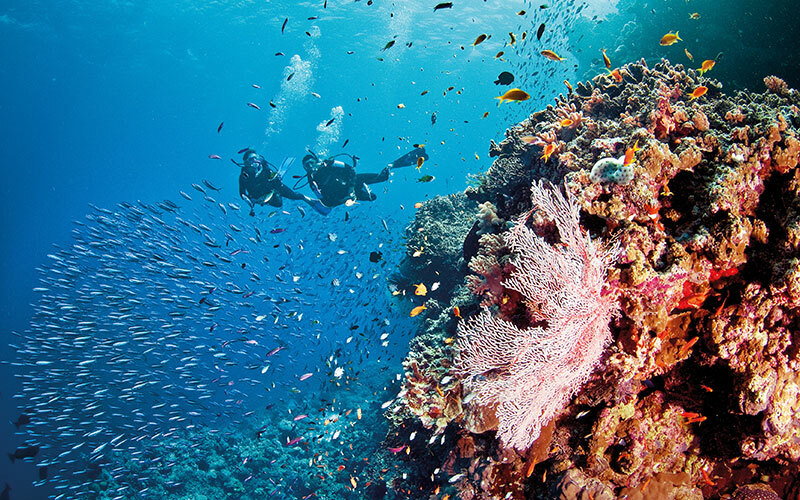 The Great Barrier Reef is home to loads of colorful marine life. From the fishes to the coral you’ll find yourself surrounded by beauty. You might even see some Reef Sharks! They are generally harmless and quite timid, posing no threat to divers. Keep in mind, they are wild animals so don’t get over zealous. Check out our featured Australian itinerary and learn about all the activities that await you in Queensland! Are you a foodie? 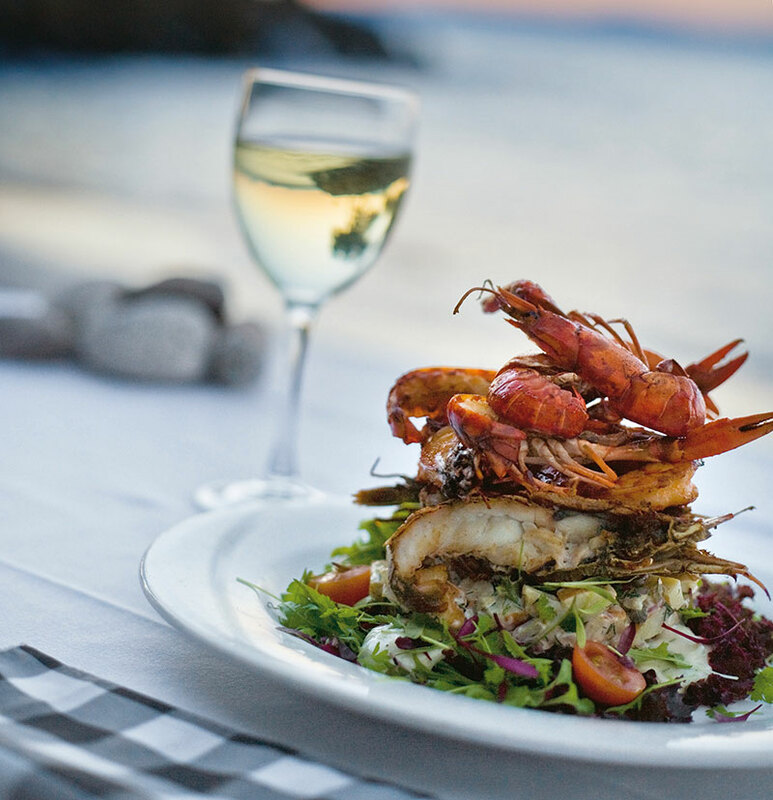 Queensland is one of the best spots to discover fresh, amazing food. Fresh juicy fruits, seafood straight off the trawler, roasted macadamia nuts, and home-made goodies sold at boutique shops. Here you’ll discover anything from amazing goat cheeses, organic wines and coffees, bush tucker in the Outback, traditional indigenous foods, and gourmet goodies. From the Sunshine Coast and the Outback to the Whitsundays and Tropical North Queensland, your tastebuds will thank you for the tantalizing treats. We mentioned wine, right? Well Queensland is home to some of the best Australian wines. Brisbane and the Sunshine Coast are home to diverse varieties, of wines, from sharp and crisp chardonnays to warm oaky reds, there’s something for every palette. Are you ready for a Queensland getaway? Give us a call today at 312-951-8517, and let us create a tailor-made holiday just for you. Need a little more inspiration? Check out our sample itineraries and our many unique destinations here.